The Dirty Bird teamed up with Mustang to develop the new John Shope Signature Series designed exclusively for Indian Motorcycle. 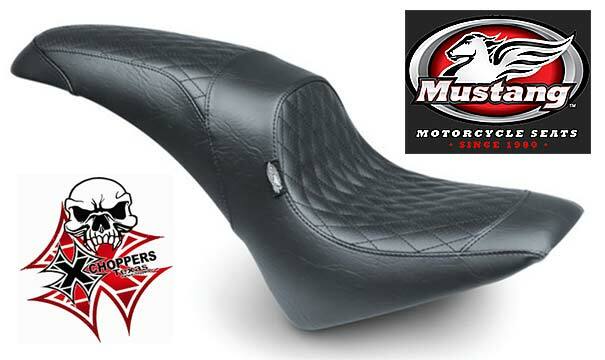 The Signature Series Tripper for Scouts has an 8.5” wide seat for the driver and a slim 5” wide rear to provide sufficient padding for use as a passenger seat. Features a double-stitched, high-quality expanded vinyl cover with perforated diamond-stitched center panel, and a low profile to rest the driver in an aggressive yet comfortable riding position.